As the Stanley Cup Playoffs progress, we are reminded again of the most important thing – depth is important. Every single season, we see superstars like Sidney Crosby and Jonathan Toews and then there are those “unsung heroes” on the other three lines that help push their team to glory. 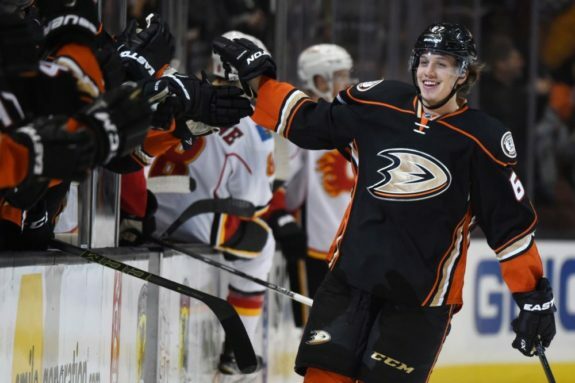 How would one go about acquiring those unsung heroes prior to a potential Stanley Cup run? A place to start is the NHL Entry Draft. When it comes to drafting those unknown game-changers, the Buffalo Sabres have had their highly publicised struggles. Drafting set the Sabres back, there is little doubt in that. 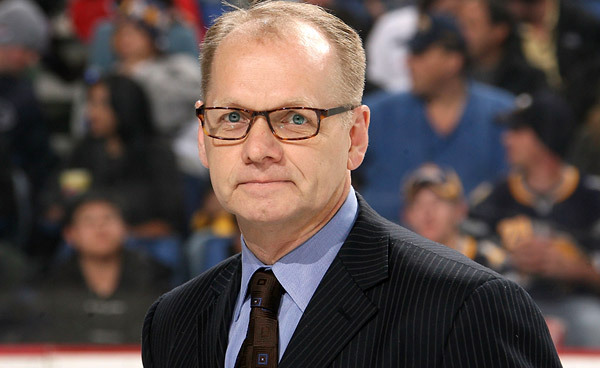 After former general manager Darcy Regier lost his job, it became very evident how much he missed on picks that easily could have re-stocked the cupboards. Not every first round pick was a bad one but as time progressed, the swings and misses became harder to handle. You can trace the development of the issue all the way back to 2005 when Regier grabbed forward Marek Zagrapan with the 13th overall pick. This started a back-to-back mega whiff by Buffalo’s front office. Zagrapan would go on to play 227 professional games in North America in the AHL, with the Portland Pirates and Rochester Americans. He has yet to play in a NHL game and most recently has played for KH SKP Poprad in the Slovakia Extraliga. In that 2005 draft, the Sabres drafted the “big question mark” and ended up missing out on Martin Hanzal (drafted 17th by Arizona), Tuukka Rask (drafted 21st by Toronto) and T.J. Oshie (drafted 24th by St. Louis). The other half of that massive miss would come in the 2006 draft when Buffalo selected Dennis Persson with the 24th overall pick. Persson has played 171 professional games in North America in the AHL, with the Portland Pirates and Rochester Americans. He has yet to play in a NHL game and most recently played for HockeyAllsvenskan’s IF Björklöven in the 2015-16 season. Buffalo missed out on Patrik Berglund (drafted 25th overall by St. Louis) and Nick Foligno (drafted 28th overall by Ottawa). Fast forward now to the 2009 Entry Draft – with the 13th pick, forward Zack Kassian became a member of the organization. Kassian has had a respectable 313-game NHL career so far under his belt, filled with some well-publicized bumps in the road. He was not a Zagrapan or Persson-esque miss but with hindsight, Regier could have made a smarter move with a bigger impact. Selected after Kassian were Dmitry Kulikov (drafted 13th overall by Florida), Nick Leddy (drafted 16th overall by Minnesota), Chris Kreider (drafted 19th overall by New York) and Marcus Johansson (drafted 24th overall by Washington). 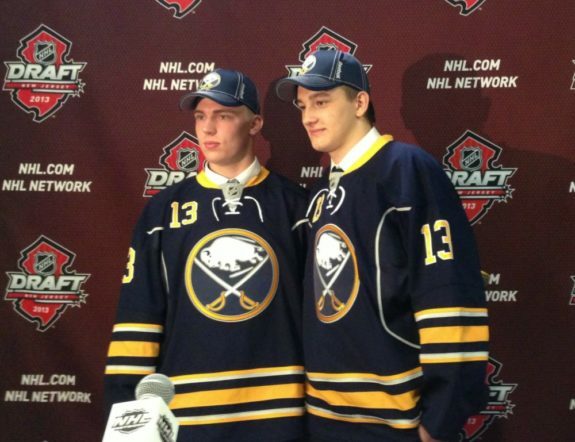 Two years later, the Sabres would select forward Joel Armia with the 16th overall pick. Armia surpassed 100 career NHL games this season with the Winnipeg Jets and his production has left a little to be desired. He currently has 29 points (14 goals, 15 assists) in 101 games. Buffalo missed out on Nathan Beaulieu (drafted 17th overall by Montreal) and Rickard Rakell (drafted 30th overall by Anaheim). The year 2012 would be an especially tough one for Regier, seeing as he would end up with two shots at grabbing talented players. His first shot, Mikhail Grigorenko at 12th overall, did not pan out. Grigorenko was expected to be a top-six forward who would help lead Buffalo out of the doldrums but instead, he became another brick in the wall. In 217 NHL games, he has tallied only 64 points (22 goals, 42 assists). The other pick made that afternoon, Zemgus Girgensons at 14th overall, continues to try to find a role with Buffalo but has struggled in that process. With 277 NHL games in hand, he has only tallied 86 points (37 goals, 49 assists). 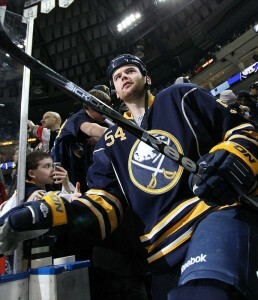 For Girgensons, having a system to play has proven troublesome. Under Ted Nolan, he tallied 52 of his 86 career points in two seasons. With Dan Bylsma’s system hockey, those numbers fell to 34 points in the next two seasons. Following those two picks, Tomas Hertl (drafted 17th overall by San Jose), Olli Maatta (drafted 22nd overall by Pittsburgh) and Tanner Pearson (drafted 30th overall by Los Angeles) were drafted. The 2013 Entry Draft, which would be Regier’s final one, provided the franchise with one more underwhelming pick. Nikita Zadorov was nabbed with the 16th overall pick. While Zadorov was packaged to bring back Ryan O’Reilly a few years later, the less-than-average pick should still be highlighted. Zadorov has amassed only 28 points (4 goals, 24 assists) in 145 NHL games. He struggled with Buffalo’s lack of development and being in the NHL too quick actually appeared to stunt his professional growth. Following Zadorov, both Andre Burakovsky (drafted 23rd overall by Washington) and Shea Theodore (drafted 26th overall by Anaheim) were selected. It is hard to sit here and look into the past with revisionist history as your co-pilot. With that being said, it is not difficult to see that Darcy Regier’s inability to fill out his roster over the years with first-round picks has led Buffalo to have bare prospect cupboards. Former GM Tim Murray was able to take some of those failed prospects and package them for better players but even that has not been able to quell the empty pipeline. While Murray was able to grab some pieces in the draft before losing his job, Buffalo’s future general manager will have his work cut out for him when it comes to finding those diamonds in the rough to fill out the NHL roster.